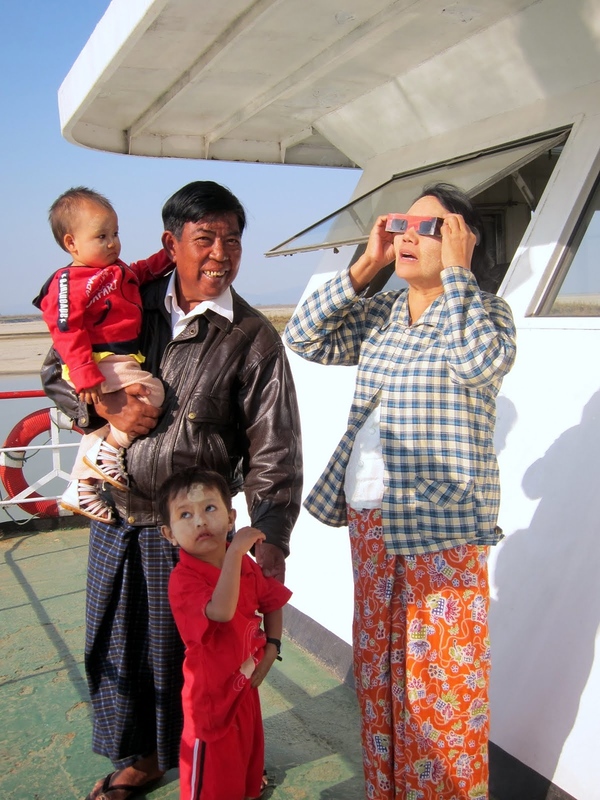 Of all the experiences I had during my many weeks in Myanmar, the one that was most unexpected was watching a solar eclipse on a slow ferry to Mandalay. The boat trip wasn’t in my itinerary — to be fair, I didn’t even have an itinerary. I simply criss-crossed the country and opened up to experiences that came my way. I knew I had to get to Mandalay, and thought I would take the train south after my colorful time at the Kachin State Fair. 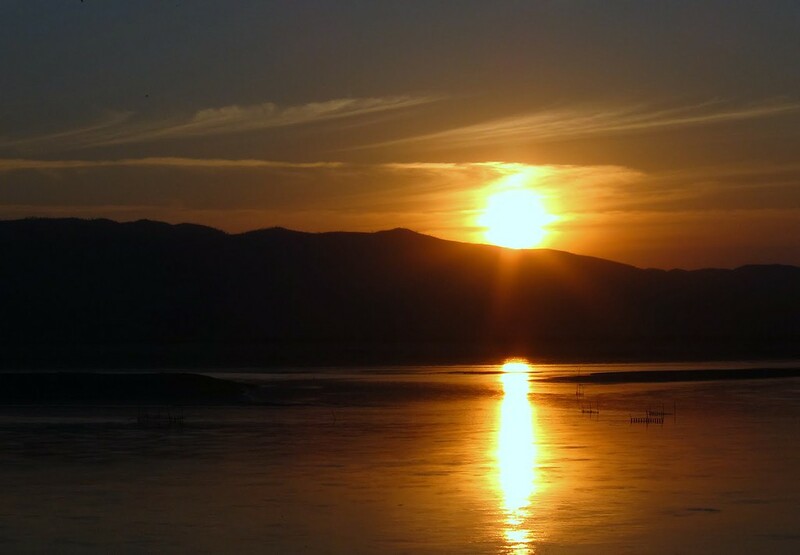 My train plans were quickly scrapped when I read that an annular solar eclipse on January 15 would be passing across Asia, with the eclipse’s central line hovering over northern Myanmar. 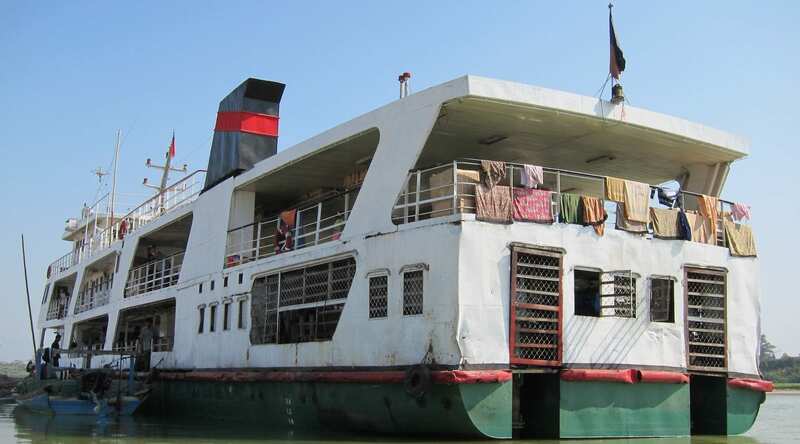 There also happened to be a government ferry from Bhamo to Mandalay, what was supposed to be a 2-day ride. As someone who travels with a space pen at all times, I jumped at the opportunity to see a solar eclipse in relative isolation. 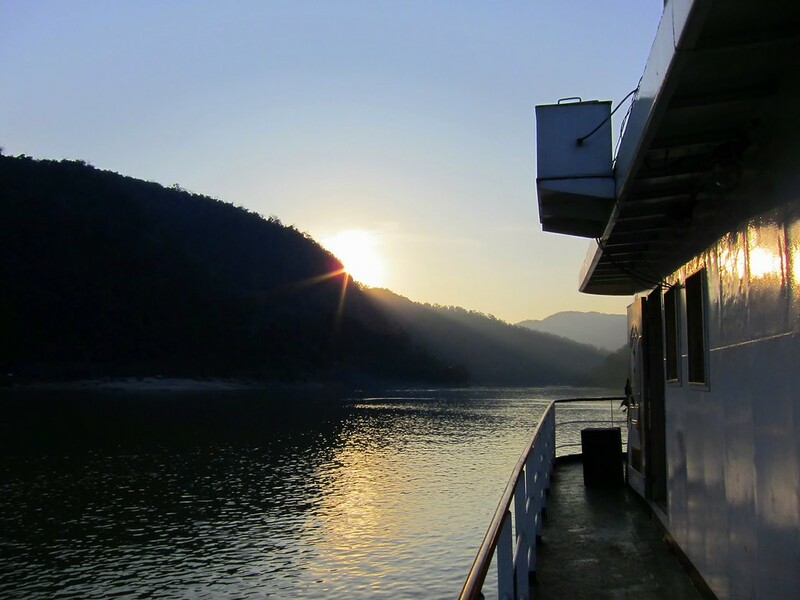 It ended up being a spectacular trip, with days spent karaoke-ing with the captain and watching the world go by, and evenings huddled on deck with hundreds of fellow ferrygoers, chasing the shadows on the banks of the river. 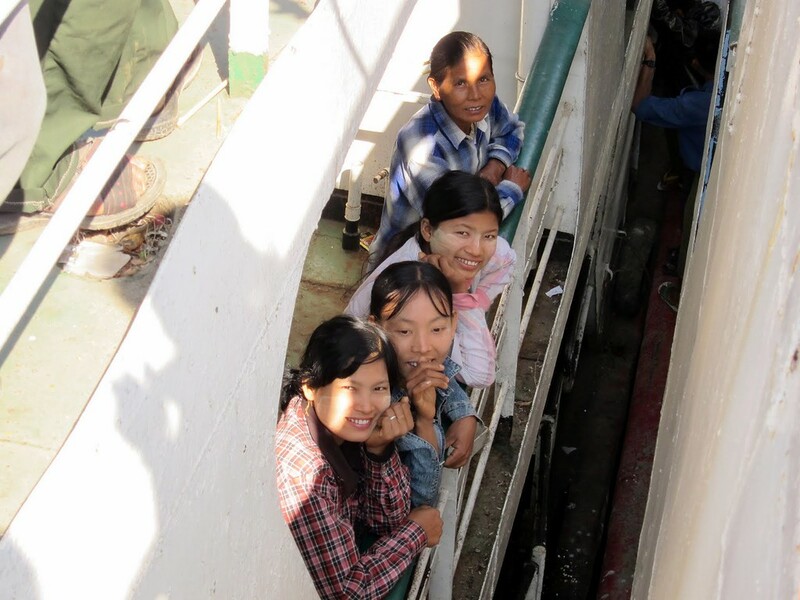 This boat ride was part two of my long and all around crazy trek back from northern Myanmar. The first part, you may recall, resulted in a mishap-ridden stranding that required my safety whistle to help with the rescue towing. 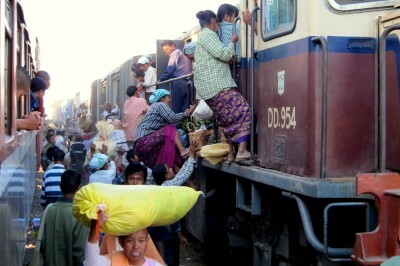 After this disaster of a day, most of my fellow travelers opted out of water transport and took the train back to Mandalay. A few brave, astronomy-loving souls decided that the eclipse was well worth whatever misadventure awaited. We booked our tickets on the government ferry. In my case, I almost got arrested in the process when I licked my money to prove that it was sufficiently new. 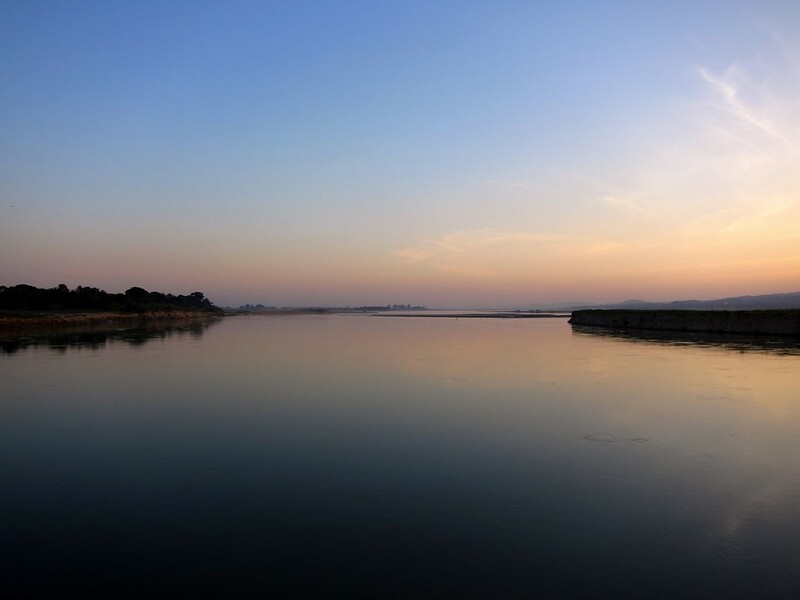 With my hotel manager rushing to smooth over ruffled feathers, I had a ticket to Mandalay and a questionable reputation in Bhamo. The first indication of our trip being a little longer than expected was when we showed up at the dock and were informed that our boat was anchored “out there” somewhere. This information was related with a vague waving of the hand toward the banks of the Irawaddy. 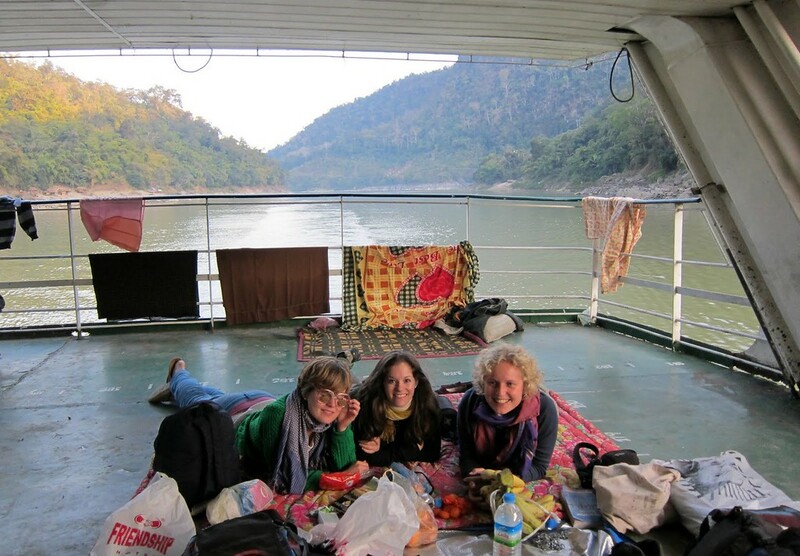 Instead of boarding from shore, we were stuffed into a longtail boat and shuttled to our ferry. The reason? The river was lower than usual. “The boat may take a little longer than planned,” we were casually told. They weren’t kidding. Our trusty steed to sail us through the solar eclipse. The ferry ended up leaving quite late as we had to wait for the longtail boats to taxi all of our passengers due to low water. As a result, almost immediately after lifting anchor, we were in prime eclipse time. The light began to change and sharing two pairs of eclipse glasses, we headed to the front of the boat. 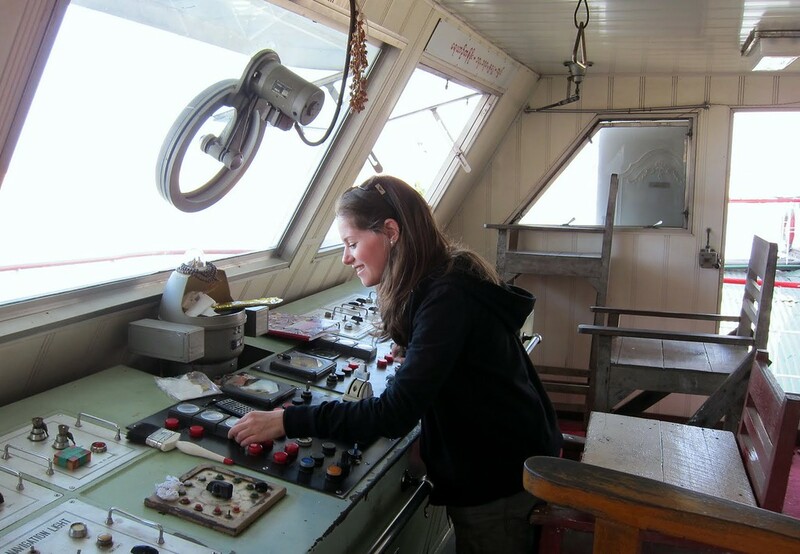 With the captain blaring dance music from his cabin over the boat’s PA system, we danced on deck and watched the sun disappear in the afternoon sky. The co-captain and his family had never seen eclipse glasses before, and spent a long while examining every detail. Co-captain and grandkids watching the eclipse on deck. Not everyone wanted to use the glasses…. Others opted for a … less safe eclipse viewing. 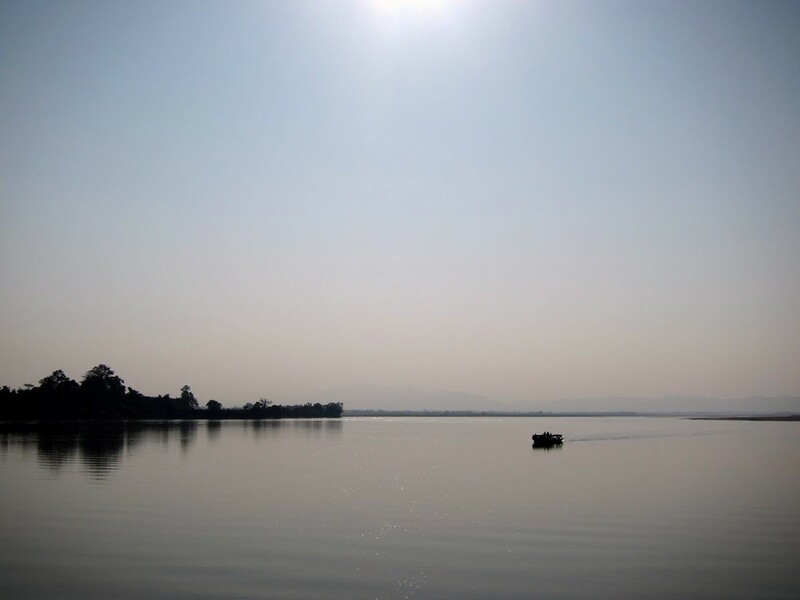 As the moon slowly blotted out the sun, the boat was bathed in an eerie hazy glow. Almost eclipse o’clock! 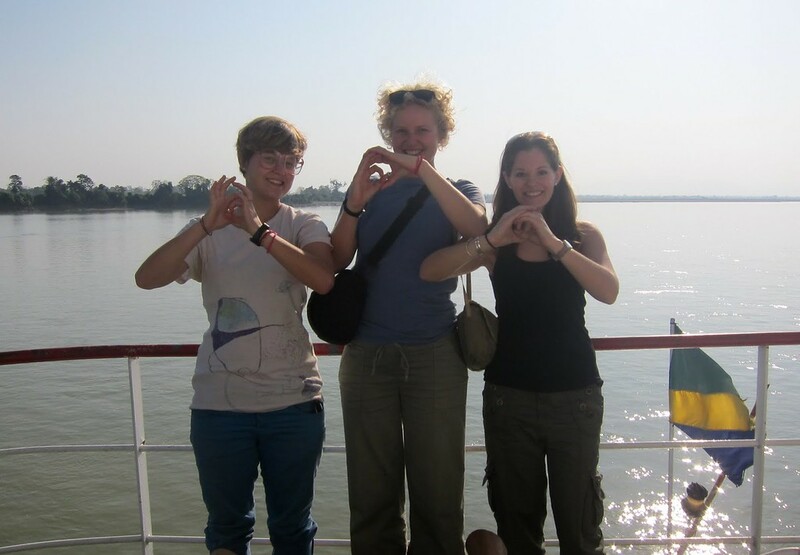 Here I am with the “Swiss misses,” two Swiss women on board. Yes, we are very excited for the eclipse. 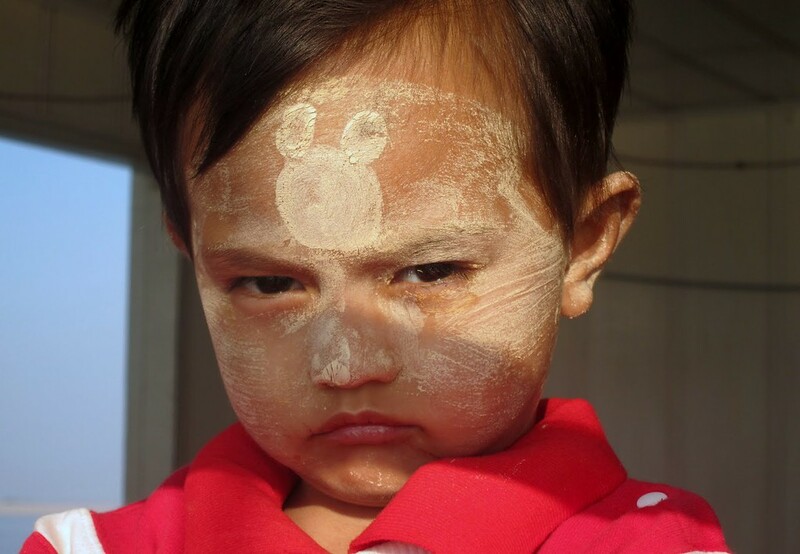 I appreciate the contrast of his killer stare with the mickey mouse thanaka on his forehead, though. This eclipse was an annular one, unlike the total solar eclipse over the United States in the summer of 2017. The key difference between the two is simply that the moon is further from the Earth in an annular eclipse — so the moon is smaller and doesn’t completely cover the sun. You’re gifted with a “ring of fire” around the sun instead, where light ekes through around the edges of the moon’s space. And the main star of the show! Photo taken by putting the eclipse glasses up to my camera lens and manually adjusting the settings. I was using only a point & shoot, so it’s not the best quality. 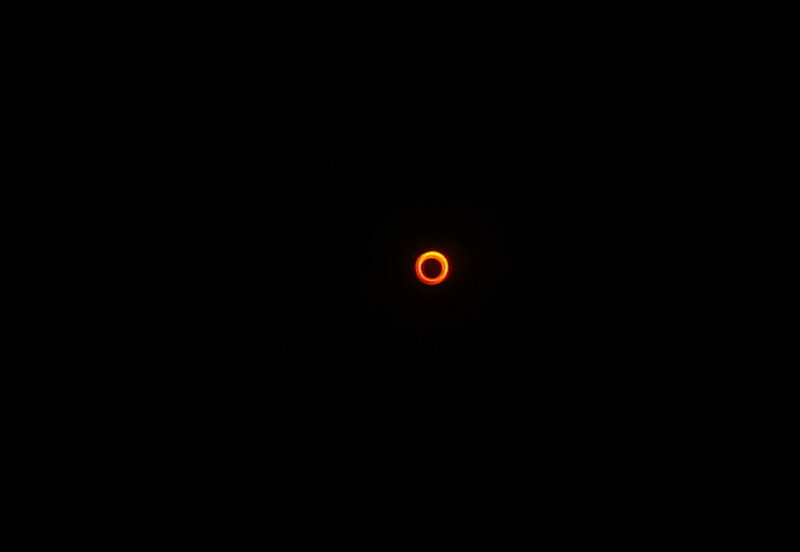 Point and shoot camera + eclipse glasses + hoping for the best = RING O FIRE! For a far more intense annual eclipse, see this pic over New Mexico, courtesy of NASA’s Astronomy Picture of the Day. Eclipse over, a routine was established. 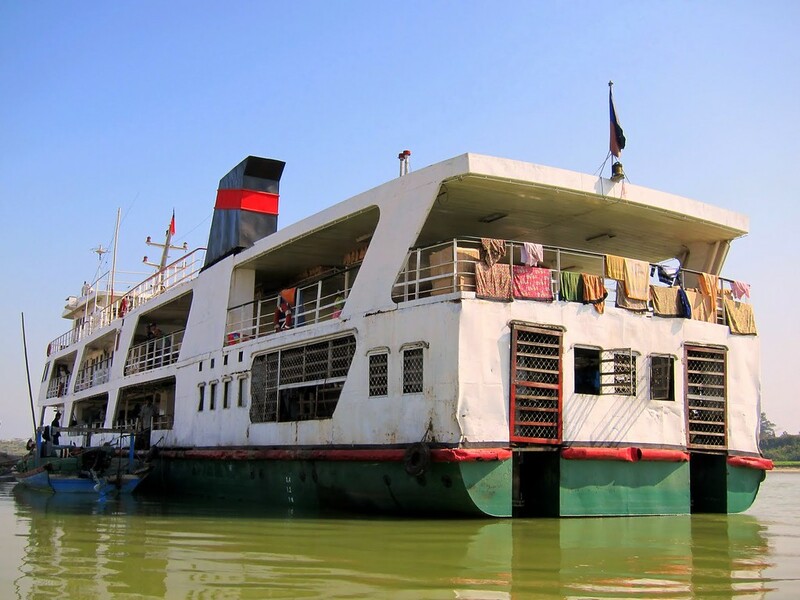 Days were spent lounging on deck or watching the traffic on the Irawaddy, meeting the constant stream of locals who found it very odd that we were even on the boat when we could have taken a train instead. Mornings were spent down on the main floor, stuffed like sardines at tiny wooden tables eating fried rice or mohinga for breakfast. They were luxuriously lazy days of watching and learning and smiling. Afternoon oranges on the boat. Me and the Swiss Misses on deck. While at first a little confused, the ferrygoers soon opened up to the few of us tourists on board. We taught them how to play Memory using a deck of cards, practiced card tricks, and did yoga in the morning on deck (the latter being the most crowd-gathering of all our activities). We may have looked a little nuts, but smiles abounded. Halfway through, we crossed paths with our mirror ferry going in the other direction. While I’ve been on boats that came side to side to pass over food or supplies — never with something of this size! NO BUT SERIOUSLY. This was pretty impressive. Lots of pointing as people in the other boat laughed at our touristy faces on their mirror ferry. The captain of our slow ferry soon decided he should get to know us weird travelers too. 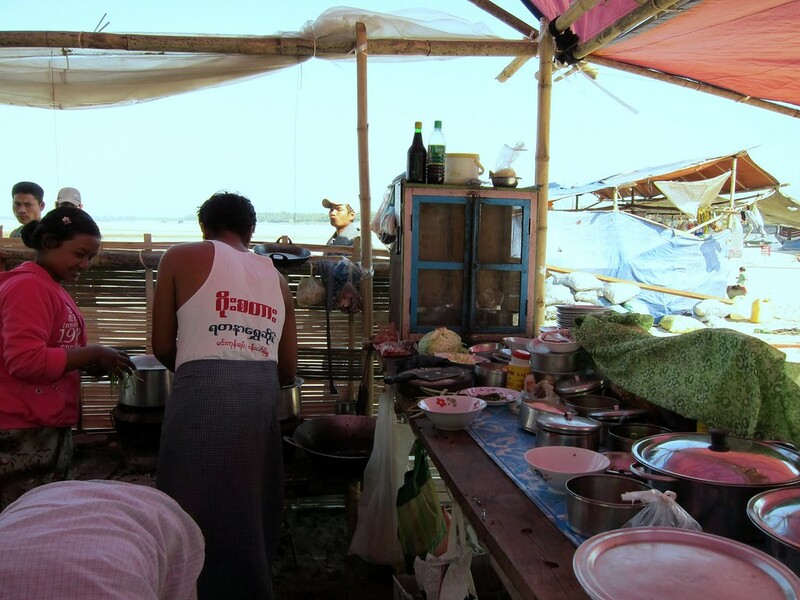 As with almost every other conversation I had in Myanmar, he started with the basics. As with the monks in Mandalay who stalled on Question 3, the captain had a small breakdown when he found out I was older than him. “But you are BABY LOOKING!” he yelled, rife with accusation. After a few minutes of glaring in my direction, to the general confusion of his co-captain, he came up with a fix. And thus a new nickname was born: “pyiesee” (pronounced pee-see), meaning little Burmese girl. By the end of the trip, the entire crew (chef included) were calling me by my name. They’d yell it out from the far reaches of the boat, calling me from afar. They even used it on the boat’s loudspeaker, and it was clear that they thought it was hilarious. There’s something about me and nicknames during travel, it seems. Then, the captain challenged me to a karaoke-off. Myanmar’s most popular rock band is Iron Cross. 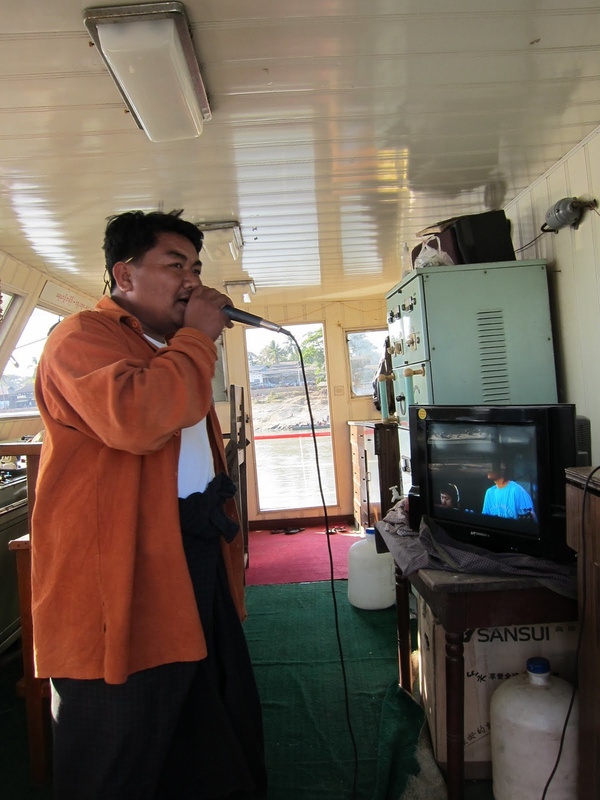 The captain had karaoke DVDs with popular American songs redone in Burmese, with the original video following the translated version. So we would switch off, one by one. He’d sing Living on a Prayer in Burmese, and then I’d do my take in English. Several DVDs and ballads followed, from Journey to Air Supply to Toni Braxton. Soon, the gathering crew decided that all the passengers should hear. And thus the karaoke-off was fed into the ship’s PA system, for everyone to sing along. Me and the captain (in orange), during our karaoke-off. Passing the mic to the captain for his turn. Some Very Serious Karaoke here, people. Of course, he then decided I ought to try and drive the boat. That look on my face is TOTAL PANIC. At this point, I had passed his test and was thus invited to drink shots of bamboo whiskey with the crew. The chef’s wife made a point of shaking her head at me — behaviour not fitting for a woman, it appeared. Warm from the whiskey, I crept up to the front deck at dusk with my camera and a notebook, enjoying the quiet and the beautiful scene. 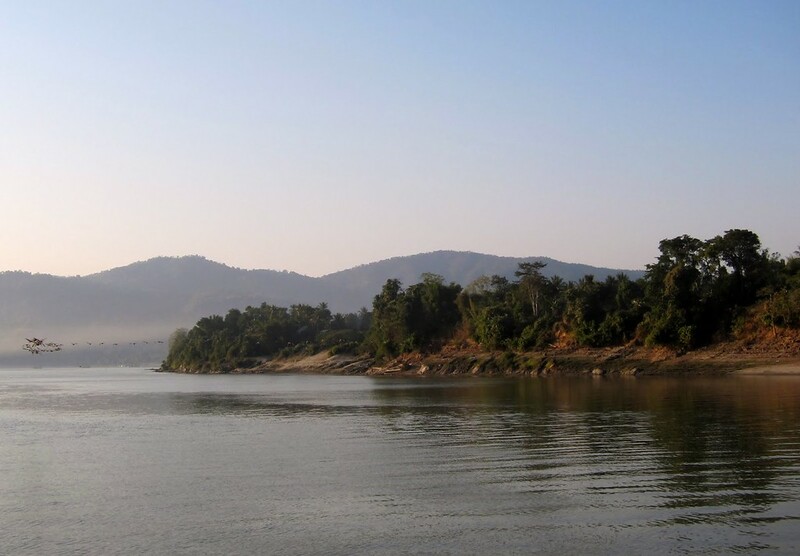 During the course of our trip, the boat would cross-cross the river and make short stops on each shore. 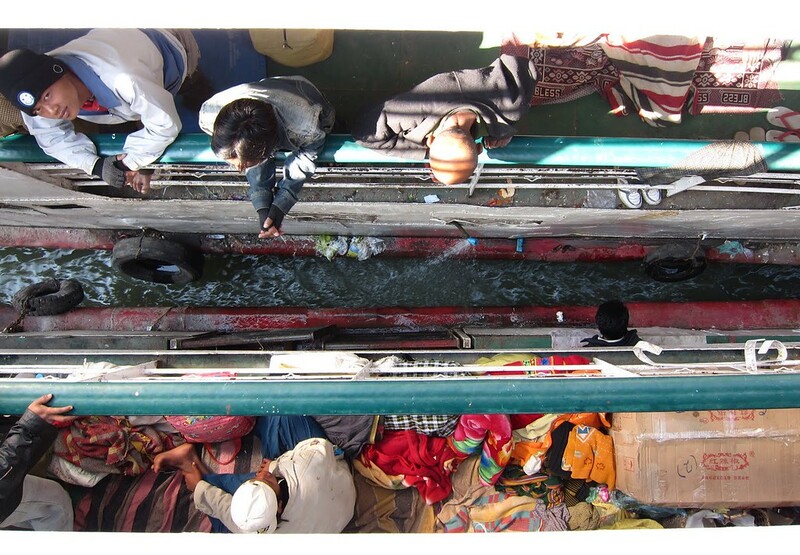 Passengers would pour onto the deck, chased by vendors trying to sell some snacks before our rickety boat pushed off again. 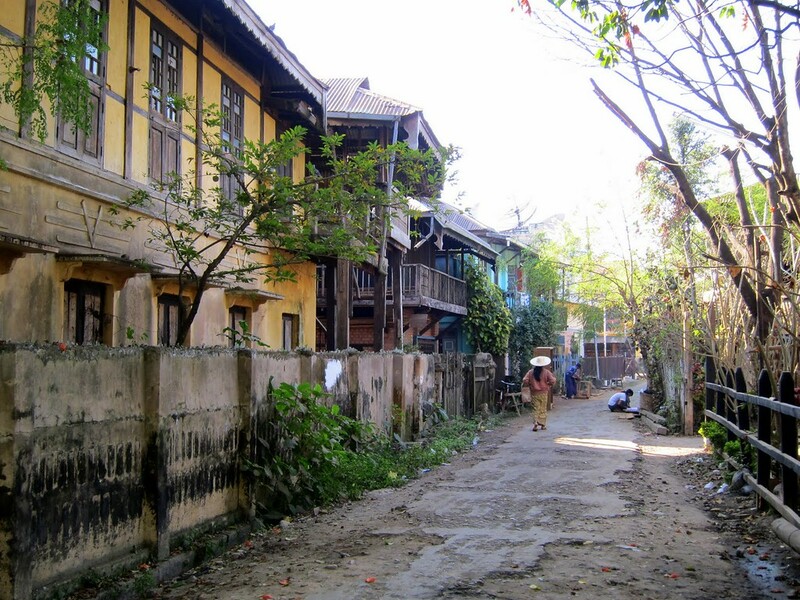 Some of the larger villages required additional supplies, and thus in Katha we had half an hour to run through the town and explore. Back on the boat after our Katha stop. Remember when I was told the trip would take longer than expected? We got stuck on the sandbar due to low water several times, requiring long bamboo poles and a lot of talent to get us on our way. Despite the added time — a full extra day’s worth — it was a beautiful and relaxing trip. 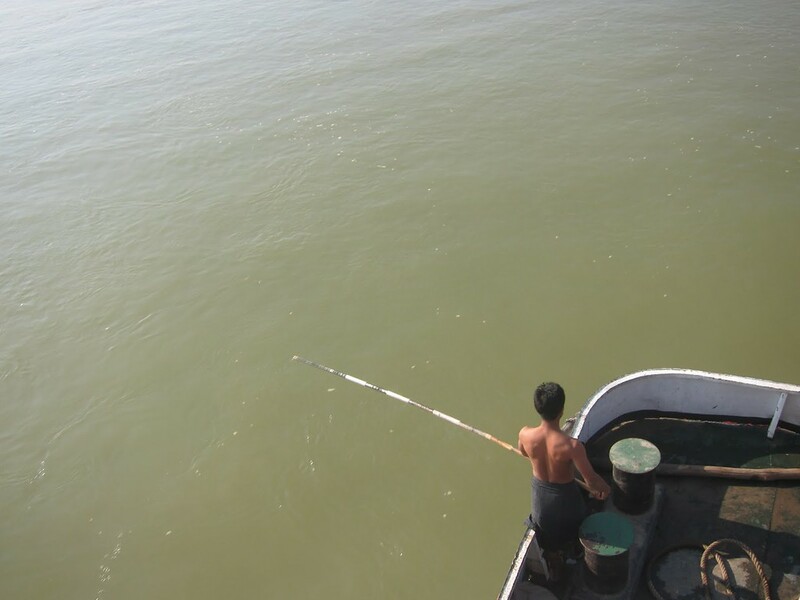 The “Bamboo Pole” technique of getting us off a sandbar – it worked! Our last day on board, already over 24 hours late (we got stuck in the sandbar several times), the sun started to disappear over the horizon and everyone on board – monks and photojournalists alike – congregated on deck to watch. 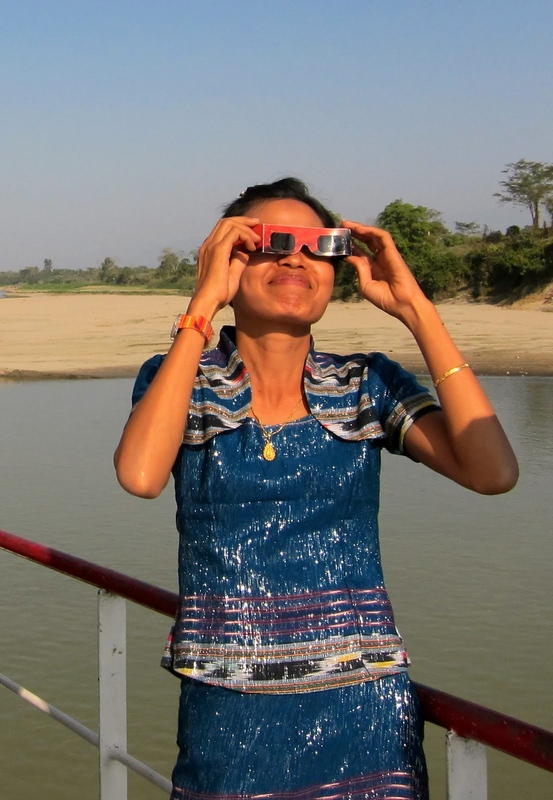 Experiencing the solar eclipse on a slow boat was an unexpected surprise. Overall, a fascinating few days of laughter, cultural exchange and karaoke. 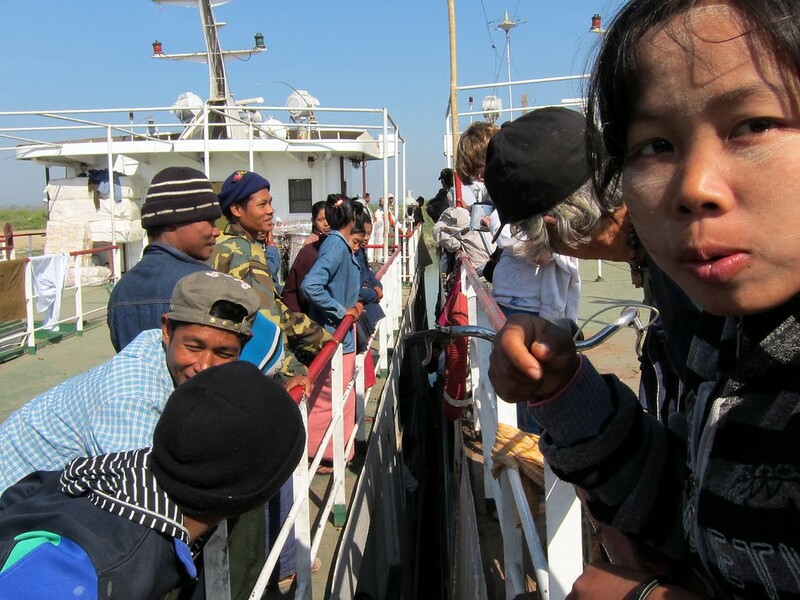 I met very few people who took the ferry from Bhamo to Mandalay, and with increased sectarian violence, it is now fully inaccessible. Those 3 days were some of the best on my travels, and I am grateful to have been able to sail my way through the annular eclipse. Now that is an action packed and exciting boat trip — great photos, as usual! 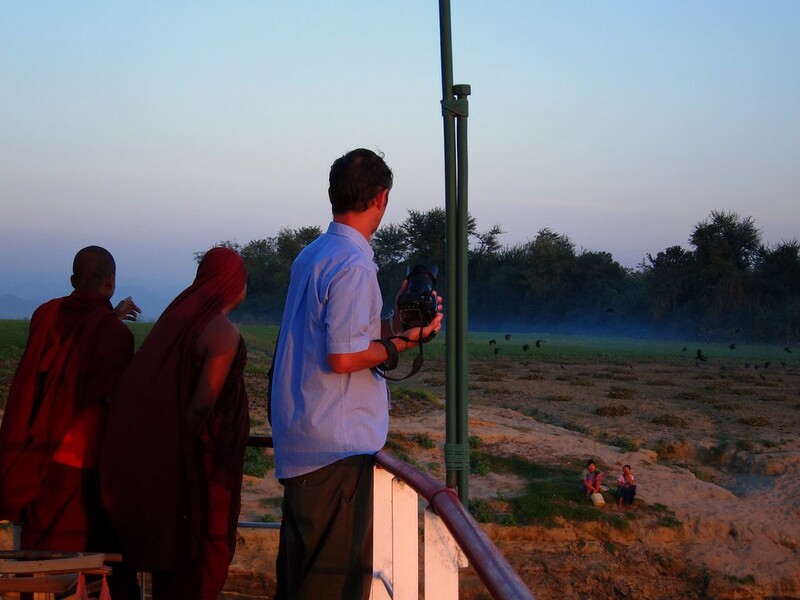 I love reading your posts on Burma. 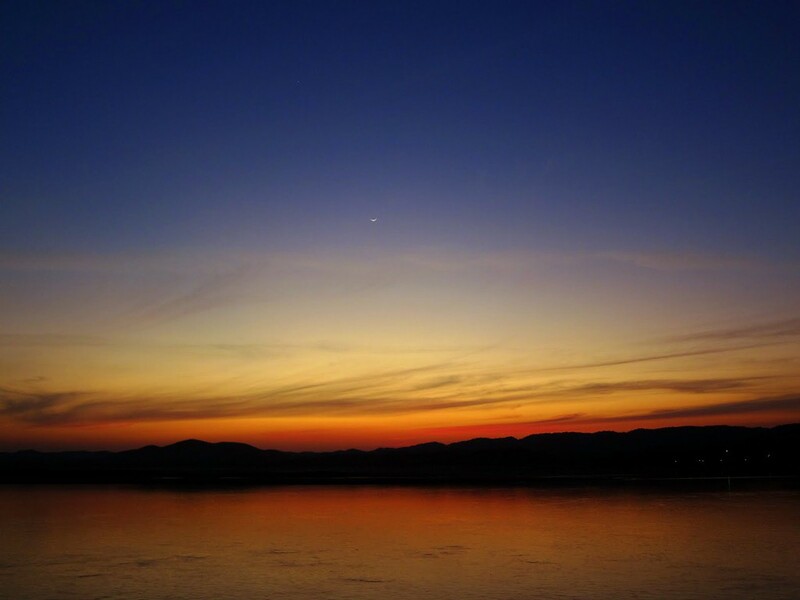 Although I didn’t make it over there during my recent trip, I hope to go when I return to Asia next year. BTW, your photos are beautiful! I would have thought looking at the eclipse through your t-shirt is going to ruin the whole experience. Love the pictures BTW. Ah yes – I watched them at Hmwe as well. Memories :) The Burmese do love their Iron Cross; they played live at the Kachin Fair when I was up in Myitkyina, to a dancing, singing audience of over 10,000. Pyiesee: what an adorable nickname. I can only imagine how fun an experience this was, from the loud-speaker karaoke-ing to the lazy lounging on the deck. Thanks for sharing. Something to add my ever-growing list of things to do. Thanks Cheri! I’ve never seen thanaka shaped like a mickey mouse either. Lots of great shapes and circles and stripes, but Disney? Not so much. I’ve always wanted to see a solar eclipse, they just don’t happen so often in the US (next one is in 2017 for the US). But great account! 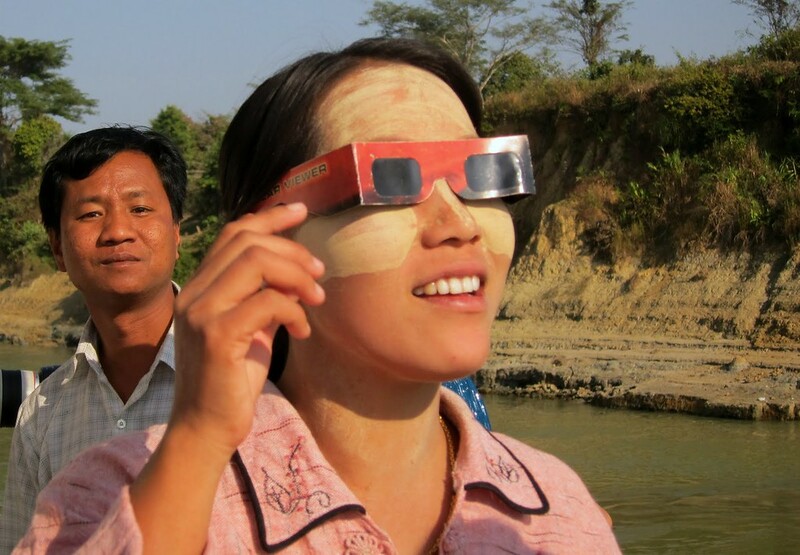 And awesome that you got to see the solar eclipse with the Burmese scenery. One of those experiences that is “once in a lifetime.” WOW!!! I love that you managed to find eclipse glasses & shared them with all the people on board – you’re so adorable. Memory went over very well! I hadn’t played it years. 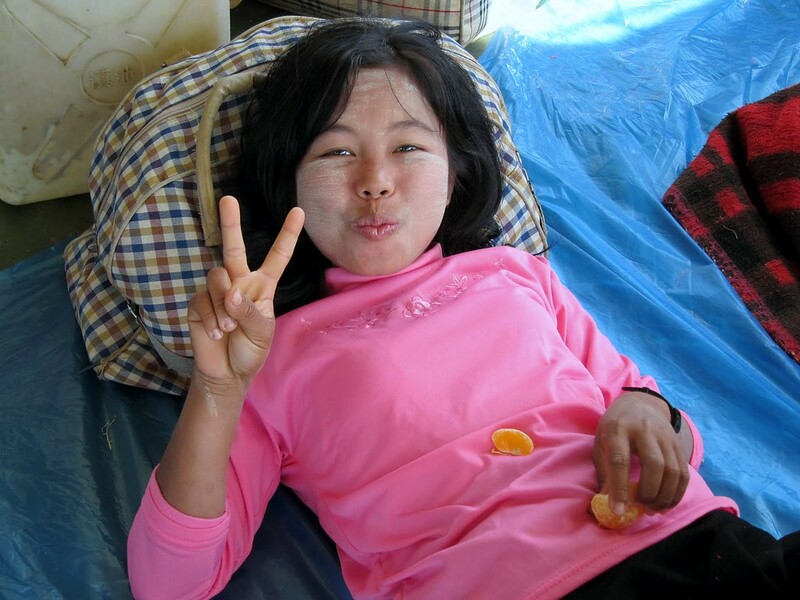 The woman smiling with the orange peels above beat us all – she was amazing. That is truly awesome. I mean AWE-some. I would love to see a solar eclipse. 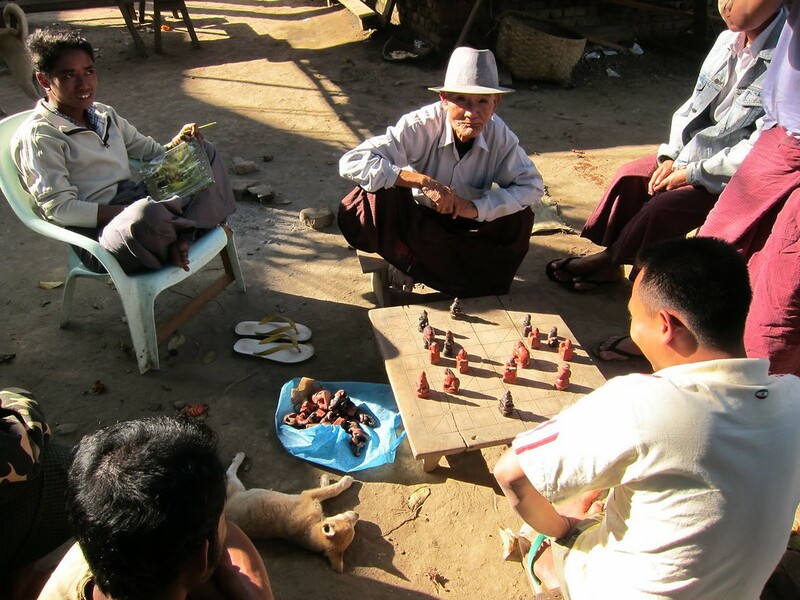 I’ve been enjoying your posts (mostly on Burma) for some time. It amazes me how well you connect with people you meet in your travels and the experiences you get out of it. 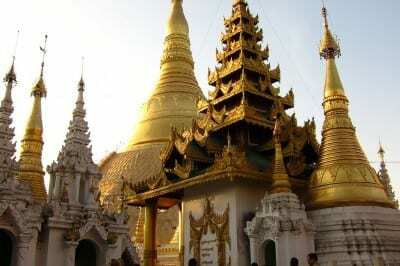 I learned tons about Burma from you before I visited it. Thank you Irena. 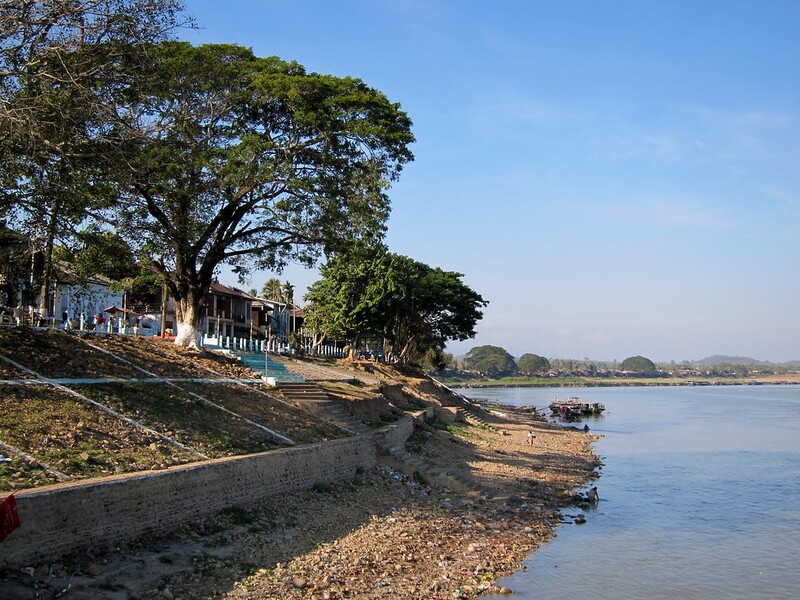 The Burmese were particularly thirsty to connect, especially up in Myitkyina and on the boat where there are rarely any tourists. For a country wedged in such isolation to have ‘access’ to tourists on a slow boat for a few days? Well, they were quite excited. I should note that the government had put people on board to keep an eye on us and make sure we didn’t talk too much with the locals. 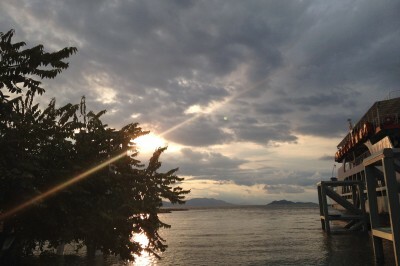 They also came out to glare at us whenever we took pictures of the teak on the river or the oil barrels at its shores. 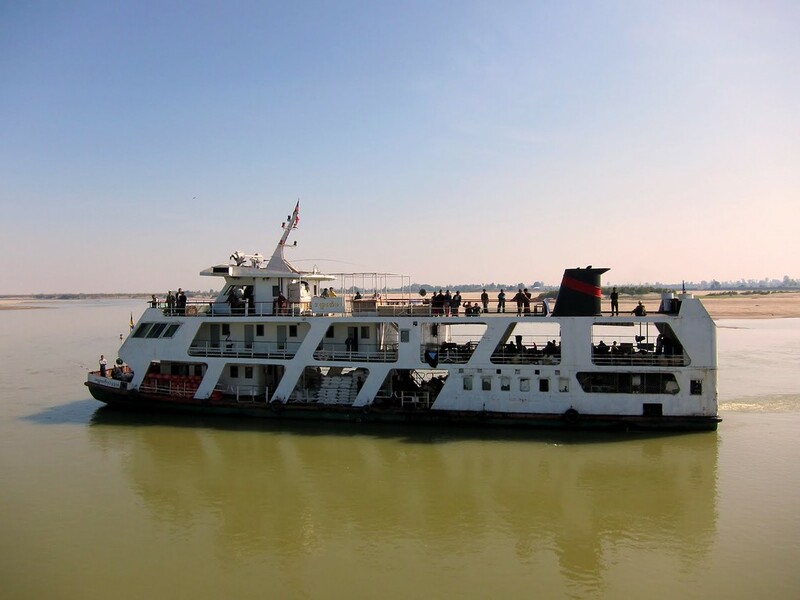 As always with Burma, we all tried to be very careful and stay away from any political discussions so as not to get any of the passengers in trouble. Thanks for reading and I’m glad you enjoyed! Beautiful photos as usual. What an experience! I’m curious to hear more about the guards on the ship. Did you have to pre-arrange to have them there as a condition for your travel? Was this foreigner specific? I’m always curious about how countries try to walk that blurry line between accepting tourists while trying to maintain journalistic silence. I’ve seen you’ve had some experience (re: during your Thailand trip with the Red Shirt protest). What would your #1 advice be for those traveling to a country that might be politically unstable? I’ve always wanted to go to Thailand myself but feel uncomfortable with how unpredictable (in time and magnitude) these uprising are. Once again, thanks for sharing. Happy Holidays! Hi Stella, thanks for your comment. To be clear, these were not guards on the ship. They were plain clothed officials put on the boat to keep an eye on us foreigners. They never once identified themselves to us or talked to us, but it doesn’t take a conspiracy theorist to notice that they were clearly watching us for a specific reason. They’d surface when we’d drift by any oil or teak on the river. Re the Thai protests, I decided to stay put despite the devolution of events in Bangkok because I had come to love the city and my tiny soi where things were going awry. Many tourists did leave – to the islands, to Bali, to the Philippines – but it was a personal choice to stay put. There’s certainly no predicting how events will go when violence flares up, but the best thing is to keep an eye on the news on forums (Travelfish’s forum for the State of Emergency in Thailand was extremely helpful: http://www.travelfish.org/board/post/thailand/10221_state-of-emergency-declared-in-bangkok in cutting to the heart of what was going on), on Twitter (@bangkokpundit, @journotopia, @karmanomad @newley were all very good sources of info as they were each on the ground) and (with a grain of salt) on the news and then make your own judgment call. Many people told me I shouldn’t have stayed in Bangkok but ultimately I chose not to listen. What a boat trip! Crisp and clean photos too, I really like them.